What do you get when you cross an enterprising and innovative mind, a business acumen and a desire to address social problems through practical solutions and social value creation? Well, that could very well be the definition of a social entrepreneur. They are a new breed of change agents applying their business and investment skills to the world's critical problems. 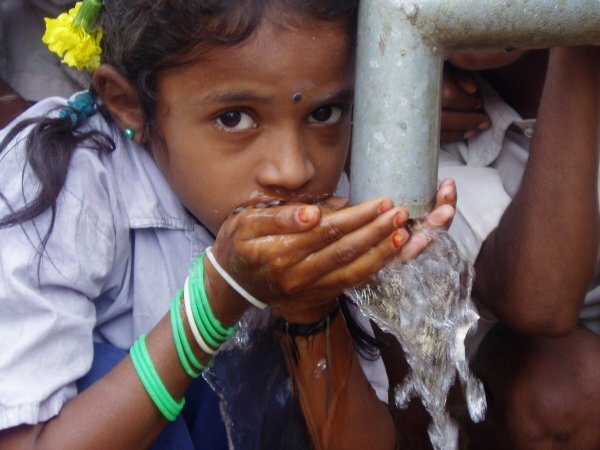 One of the most pressing global health issues is access to clean drinking water. Some 1.1 billion people are without such access, mostly the rural poor, and water-borne pathogens cause 80 percent of diseases in developing countries. It is such a huge problem that the UN has dubbed the next ten years the "Water for Life" decade. In addition, 1.6 billion are without access to electricity. A number of innovative thinkers are trying to tackle this problem. I've featured a few in this blog. Enter social entrepreneur Iqbal Quadir, a former investment banker who first applied his considerable gifts to the social good with GrameenPhone. That venture, a microcredit program that empowered women in Bangladesh with cell phones, is now the largest telephone company in Bangladesh. Now, he's teamed up with Dean Kamen, the inventor of the Segway, to bring two innovations to market: the Stirling, a cow dung-powered generator to provide electricity to rural neighborhoods not connected to the grid, and a water purifier, called the "Slingshot." The devices are apparently easy to transport from village to village -- two people can carry them -- and can be used on the spot. Moreover, they can run on local fuel, thereby reducing animal waste. "We have 200,000 rural entrepreneurs who are selling telephone services in their communities," Quadir told Business 2.0 last month. "The vision is to replicate that with electricity." Mr. Quadir's efforts don't stop there. He's also developing, with his brother Kamal, an electronic marketplace called CellBazaar. Accessible via mobile phones, it's like a more direct, more primitive e-Bay. Quadir is using his background as a venture capitalist to invest in the social good and help rural people in his native Bangladesh and elsewhere. "Technology," Mr. Quadir told The Economist earlier this month, "can quietly initiate novel ways of making things or trading them, potentially redistributing economic and political clout." He is shifting power from the powerful to the once powerless, changing the equation and leveling the playing field, one issue at a time. 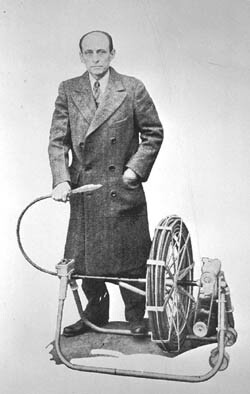 As Quadir told Technology Review last October, "Technology allows people to rise from below." Climate Change: Ad Council Wake up call for Climate Crisis? For Americans of my generation the image of a Iron Eyes Cody shedding a tear while surveying a garbage-covered landscape that was once the land his people and the buffalo roamed is tattooed on our brains. It was a wake up call to "Keep America Beautiful." Now the folks who brought us Iron Eyes, "Only You Can Prevent Forest Fires," "A mind is a terrible thing to waste," and "Friends don't let friends drive drunk," have teamed up with Environmental Defense to bring the climate crisis into the living rooms of Americans. The Ad Council ads, there are two 30 second TV spots and two for the radio, are in-your-face and link directly to the future of our children and their children. In one, a baby-boomer stands on railroad tracks while a train bears down on him ("the train wreck that is the climate crisis"), says the effects of global warming won't be felt for another 30 years so why should he care? He walks away only to reveal a young girl about to be slammed by the speeding train. While they lack a ringing phrase that will stick in our minds for a generation, the messages, in pure Ad Council fashion, are simple, direct, and jarring. Yet will those of us who grew up with Iron Eyes be moved to take the kind of aggressive action called for in the ads? Stay tuned. Nevertheless, it is good to have the muscle of the Ad Council weighing in at this critical time. Estimated cost to halve number of people lacking clean water access: $15 billion per year. Not much about the global water crisis does make sense. Especially for Americans, who have ready access to tap water, yet spend over $9M on bottled water and 26 billion gallons consumed. Well, the people at WaterPartners International are developing new ways to solve the global water crisis, creating opportunities for people to solve their own water supply problems in a sustainable way. Their latest innovation is the WaterCredit Initiative™. Through this initiative, which marries donor dollars with microcredit, they provide poor communities access to credit and the capital necessary to construct water projects in their own communities. The communities borrow the money they need to create solutions today and then pay it off over time. According to Stephanie Holbrook, at Fleishman-Hillard, who brought this to my attention, "WaterPartners supported its first water project in 1990 in Honduras. The communities we help already pay a portion of the cost of their water system, usually up front. With WaterCredit, communities may choose to spread that payment out over time through a loan. Repaid loan funds can be used again for additional projects, bringing clean water to more and more people in need." 1.1 billion people lack access to improved water supply and 2.4 billion to improved sanitation. The number of people who lack access to improved water supply could increase to 2.3 billion by 2025. Of all water on earth, 97.5% is salt water, and of the remaining 2.5% fresh water, some 70% is frozen in the polar icecaps. The other 30% is mostly present as soil moisture or lies in underground aquifers. Less than 1% of the world's fresh water (or about 0.007% of all water on earth) is readily accessible for direct human uses. In other words, if all the earth's water fit in a gallon jug, available fresh water would equal just over a tablespoon. A person can live about a month without food, but only about a week without water; a person needs 4 to 5 gallons of water per day to survive. The average American individual uses 100 to 176 gallons of water at home each day; the average African family: about 5 gallons each day. More than 200 million hours are spent each day by women and female children to collect water from distant, often polluted sources. And here's another fresh(water) idea for World Water Day: How much did the bottled water you drank today, this week, or this month cost? Buy a filter for your tap and donate the difference to WaterPartners International today. A couple of weeks ago, Seth Godin challenged the term "Global Warming" as being too warm and fuzzy to garner the necessary action to thwart it. (See my post with link to his: Seth Godin on the trouble with "Global Warming".) This is just one example of the backward way in which we currently frame issues in the conservation movement. Here's another one that I'm wrestling with at the moment. Nature provides a range of life-sustaining gifts to the rest of us: food, shelter from storms, climate regulation, water, and livelihoods. All pretty important stuff, wouldn't you say? As a colleague said to me today, "Ecosystem services sounds like some guy pulling up with a truck to clean out your septic system." We need to think about how we frame and name our issues, whether significant threats like the climate crisis or the benefits to human beings provided by nature. I tend to agree with the authors of The Millennium Development Goals and Conservation: Managing Nature's Wealth for Society's Health who wrote, "We could do with the creativity of an advertising agency to craft new terms to inspire the popular imagination with the scale of the challenge we face." Any takers? I'd love to hear from you. Climate Change: Does Australia portend climate crisis? 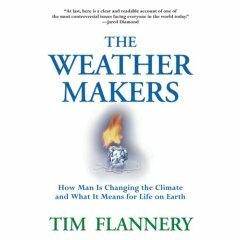 I just finished reading Tim Flannery's new book, The Weather Makers. It's the most cogent take on the issue of climate change I've yet read. Flannery mixes history, science, and activism to make the case that now is the time to act if we want to have a reasonable shot at stemming its most potent impacts. It is a case Flannery makes with a healthy dose of facts from the scientific literature -- he seems to have access to every major peer reviewed article on the subject. In the end, I wanted Flannery to offer more than just the usual advice for simple lifestyle changes. But I recognize the need to give readers some small, practical, do-it-at-home steps to take. The real changes need to happen at the industry, policy, and investment arenas. This minor flaw aside, I'm recommending The Weather Makers to everyone I know -- climate skeptic or believer -- as a must read. And I was delighted to see the book prominently displayed on the front table in a Dallas-Fort Worth airport bookstore last week. Maybe there is hope we've reached a tipping point in understanding on the climate crisis. Let's hope we're not too late. Check out this Podcast-interview with Uday Khemka, managing director of the UK-based SUN Group, and one of the World Economic Forum's young global leaders, on the subject of the climate crisis. "All I urge all of our members [of the WEF] and friends to do, is examine the issues for themselves. Be objective...don't believe the Greens, don't believe the people who are working for the oil companies, just be objective...read the material for yourself and you will be shocked at what's happening..."
"The potential to act is in a many spheres, obviously the first step is in the private sphere...a lot of the solution is gonna lie in just switching off your lights when you leave the house, I mean literally saving and conserving energy....we're beginning to see a moment where climate change is not considered a green issue alone...it's beginning to move into the mainstream, help it move into the mainstream." He also cites "Carbon Down, Profits Up" an initiative of London-based The Climate Group, which is designed to demonstrate that a growing number of organizations are taking action to reduce emissions and turning a profit from doing so. Finally, Khemka pledges to "wak[e] up anyone who is reasonable, who with objectivity looks at these issues...for their own sake and the sake of their children..."